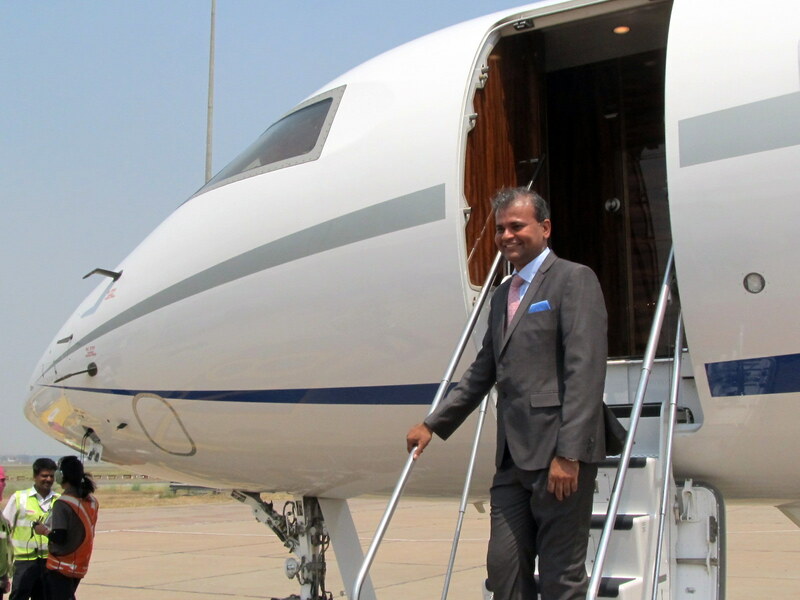 Indian private jet charter start-up JetSmart recently launched its online booking platform. The company is looking to boost the use of empty leg flights, tapping what it says is an Indian fleet of some 140 fixed-wing aircraft and 100 helicopters available for charter with 120 operators. JetSmart, which is not affiliated with U.S. charter group JetSmarter, is part of three-year-old charter group IndJets India and to date has signed agreements with 15 other charter operators. “More than 30 percent of all business aircraft within India fly empty after dropping their passengers,” JetSmart CEO Erfan Haque told AIN. Mumbai, for instance, has parking constraints, which make efficient utlization difficult. JetSmart is aiming to change this equation by marketing both individual seats and whole-aircraft bookings so that operators have the chance to make a revenue flight when they have to immediately leave an airport with no parking. The company will release an app for iOS and Android platforms within the next two months, giving customers an option to book and check their flights in real time. A loyalty program is also being finalized. According to Credit Suisse, India’s private wealth has increased by approximately $2.3 trillion in the last 15 years. Of the more than 1.2 billion people in the country, 5 percent own 68.6 percent of the wealth, while the top 10 percent hold 76.3 percent. “India's charter business, which is currently running at 35 percent of its potential [in terms of revenue flights as a percentage of all flights], will get a boost through this model. The company must ensure its reputation is not affected by living up to its promises on quality of delivery. Initially it will need deep pockets to create awareness about the concept and keep Indian conditions in mind,” commented RK Bali, managing director of India’s Business Aircraft Operators Association. neelam mathews. Picture Window theme. Theme images by zbindere. Powered by Blogger.